• Reliable discharge and even fall of the product column (mass flow). • Hygienic design: smooth internal contours in the silo/hopper without any changes in diameter, smooth surfaces on the exterior, resulting in easy cleaning; no inaccessible cavities and exposed screw threads. • Elastomer sleeve is easy to assemble and has a precise fit. • The sleeve is silicone-free, conductive and is food-grade approved; assembly using clamping segments and pressure fittings. • Screw locking by means of wedge locking washers. • Shock pressure proof to 2 bar (overpressure) and vacuum-proof. 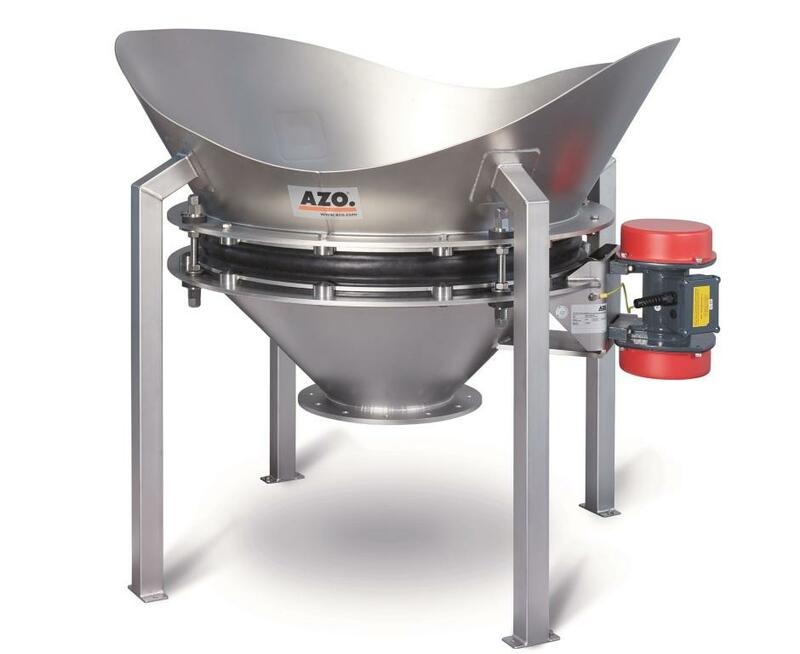 • Long elastic area, resulting in excellent disconnection between the fixed part of the hopper and the vibratory bottom.